Brain injuries are some of the most devastating injuries we see as personal injury lawyers. A brain injury can not only impact your life, but the lives of others around you as well. If you have experienced a brain injury due to an incident, then it is worth the time to contact a Minneapolis injury lawyer to assess your case and determine if everything is being done to ensure the most comfortable recovery possible. Teplinsky Law Group has been representing clients suffering from brain injuries and other injuries caused by the negligence of someone else. Brain injuries often occur after a crash on the road or due to a safety issue in the workplace. However, you could also be looking at a brain injury due to a catastrophic injury, an explosion, a slip and fall incident or a construction injury. Brain injuries include nerve damage as well as fractures to the skull that can impact the rest of your life. You could be faced with permanent damage, disability and paralysis. You could need to start from scratch, relearning how to walk, talk and function. Or, you could never fully recover from a brain injury. Wherever you are in your recovery, we offer a free no obligation consultation to help make sense of what has happened and provide the best path to a better future for you and your family. 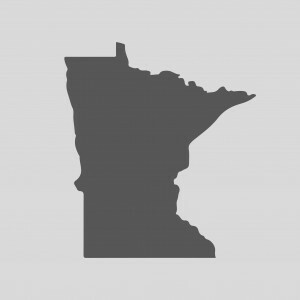 Contact our team of experienced Minnesota injury lawyers today at (612) 465-0320. A blow to the skull can leave you with permanent damage including traumatic brain injury (TBI). The brain controls all aspects of our body and thus you could be faced with a loss of memory, coordination, balance, speech, hearing and more. Many people that have suffered from a traumatic brain injury will require 24 hour assistance to relearn these skills. It can take months, even years, to learn how to walk, talk, go to the bathroom and even eat unassisted and this can be an emotionally frustrating and exhausting time for everyone involved. Knowing that you have the financial support to ensure the best level of care can make this journey a little less painful. Our Twin Cities injury attorneys are available anytime you need us. Contact us today at (612) 465-0320.